Cute but fairly realistic plush bats. 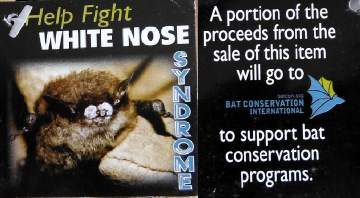 Each has a informational hang tag discussing White Nose Syndrome. Each 7" nose to tail and 16" wing span. Age 3+. Produced in partnership with Bat Conservation International.